We are close to the end of the year, time to look at what’s in store for 2019! 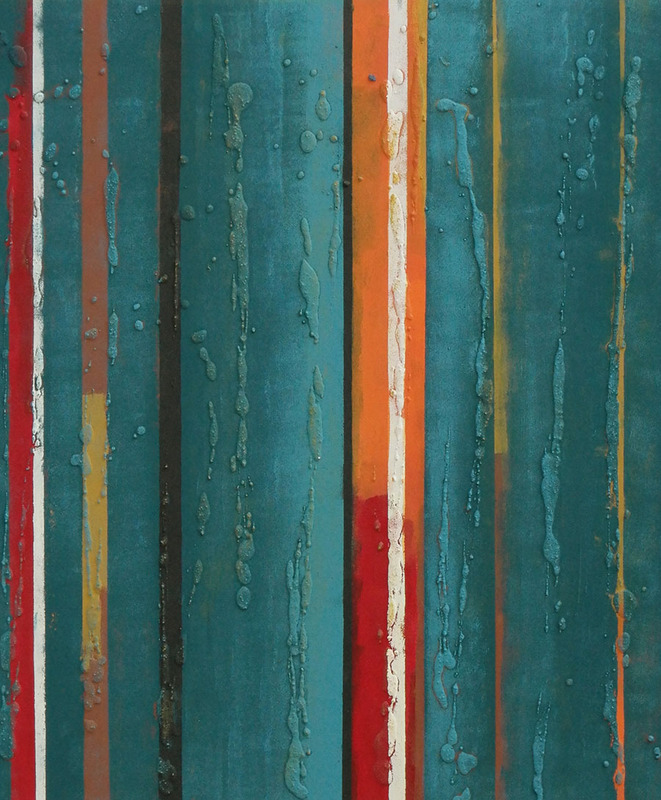 In fact, our artist Ronald Hunter has already started working on new interior art series. Curious as we are, we asked Ronald to share his thoughts behind his new work. One of his first 2019 art series is ‘High Rise’. 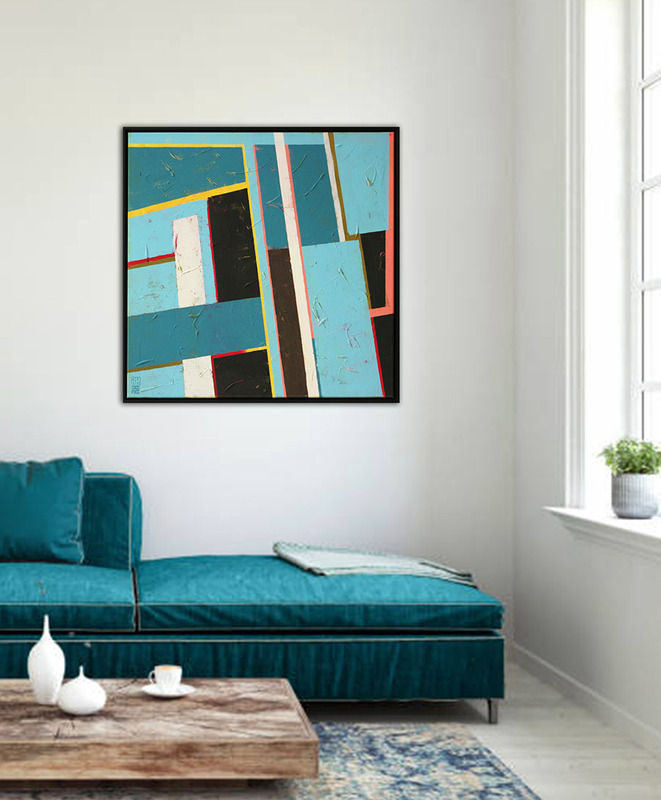 Contrasting colors and linear shapes, these abstract paintings are inspired by the rise of vertical cities. I am intrigued by the idea of vertical cities; skyscrapers that are so large and complex they hold an entire world in itself. You live and work there, and restaurants, bars, all sorts of entertainment is offered inside. In theory you wouldn’t have to go outside anymore. 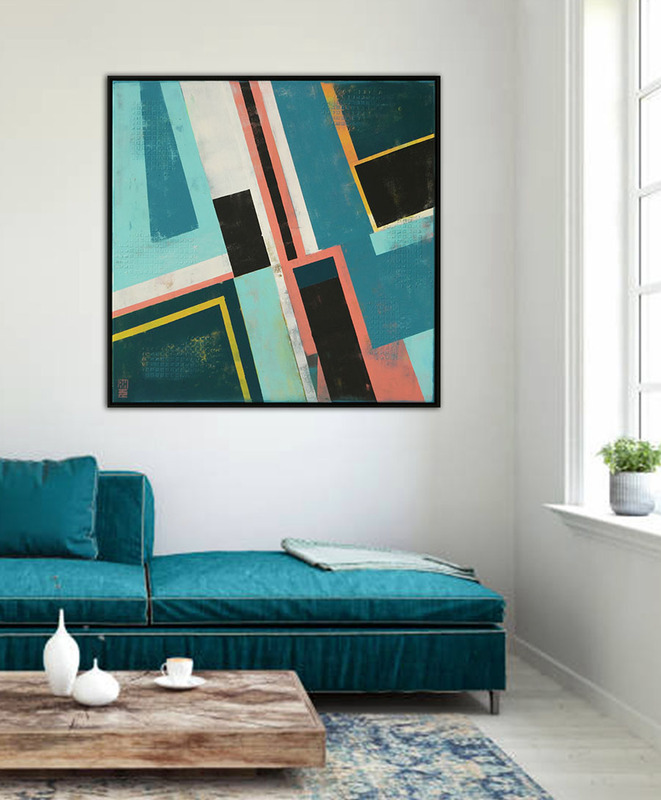 The geometric shapes and sharp lines of these ‘high rises’ form the base of these abstract paintings. 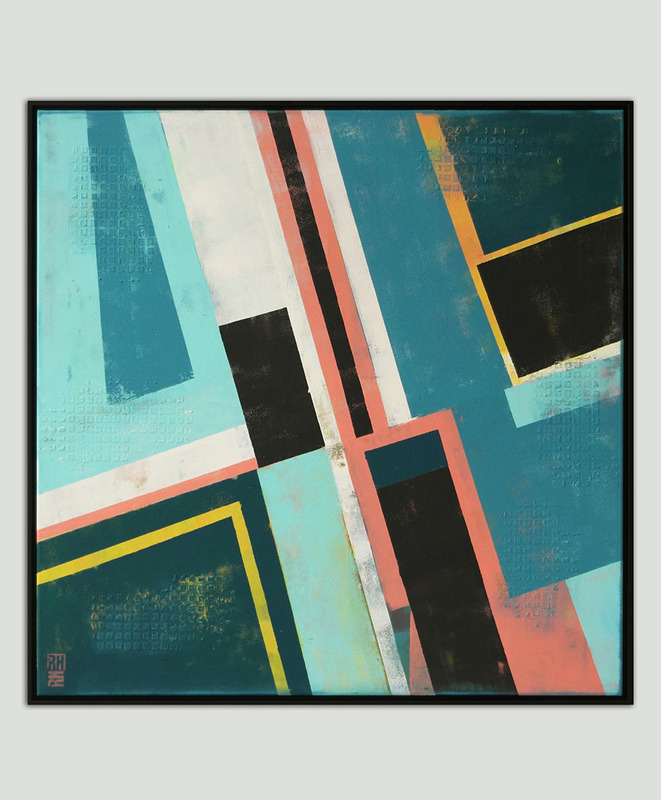 We just love the cool industrial vibe; you can just picture this painting on a wall in a New York City (or Rotterdam!) loft. 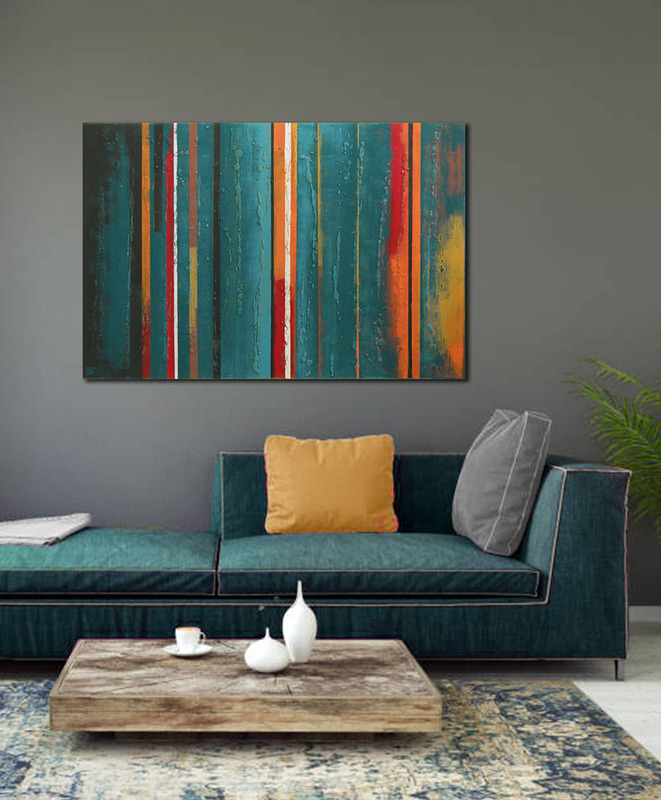 Secondly, one of the things Ronald Hunter wants to do in 2019, is focus more on decorative interior art and office art. 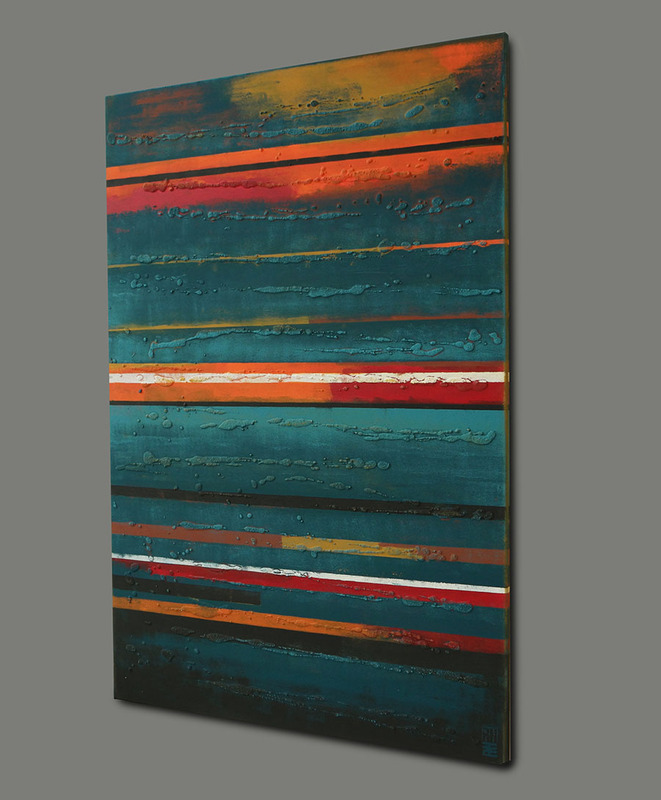 With ‘Midnight Blue Lines’ he set a remarkable new tone for a line of decorative art; classic designs with modern, rich color tones. With this new style I wanted to show another side of Ronald Hunter. 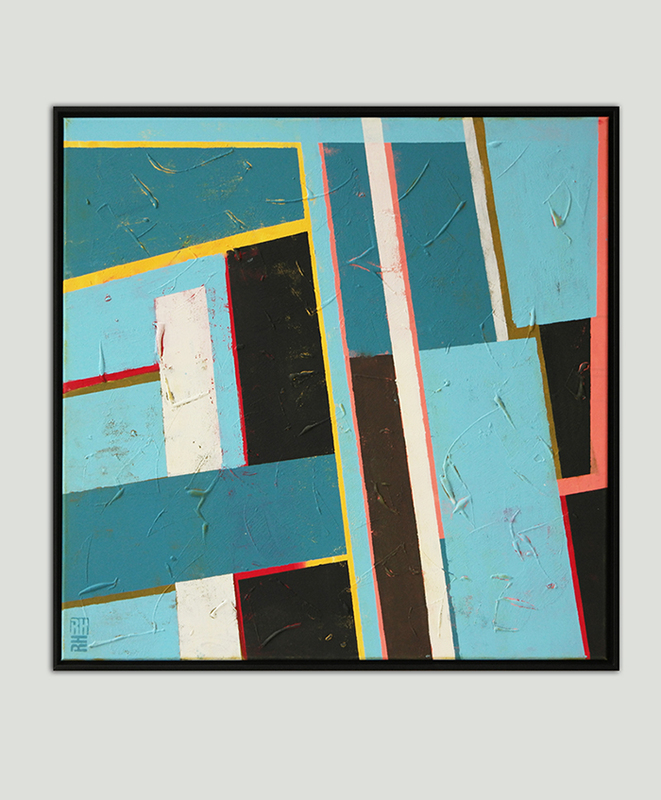 It’s a counterpart to my Pop Art paintings; chique designs, subdued but rich in color. I plan to use more natural elements in these paintings. Well, we look forward to your new decorative pieces in 2019 Ronald! If you want to stay up to date with Ronald’s art and projects, follow him on Instagram.